Actor-director-producer Lal says Jean Paul’s next Honey Bee 2 Celebrations is an entertainer. It is one of the most-awaited sequels of the year. Rightly so, Jean Paul Lal’s Honey Bee 2 Celebrations has already upped the ante with its snazzy first look and viral tracks. 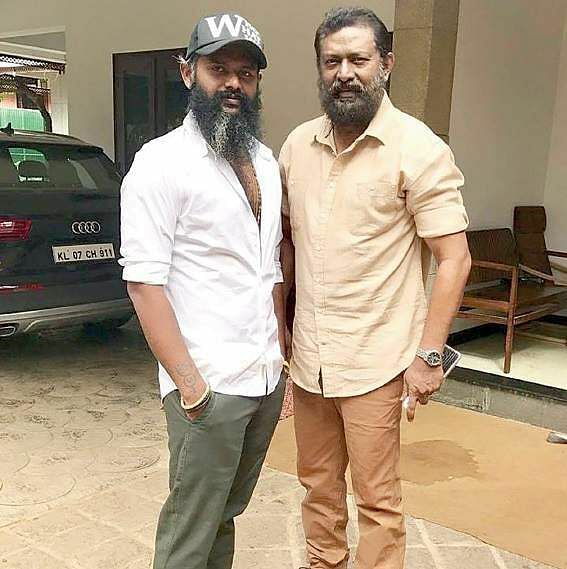 As the movie hits the theatres on March 23, actor-director Lal, who has bankrolled the project, says he is pretty sure that his son, director Jean Paul Lal, has done a commendable work. In a conversation with Express, Lal talks about the Honey Bee series and the way Jean Paul has managed to strike a chord with the audience. There is lot of anticipation about Honey Bee 2 Celebrations. What do you think about Jean Paul’s work? I am proud of him. I think he is a good film maker. I don’t say this because he is my son. When he showed me the final rushes of Honey Bee (2013), I knew he had done a neat job and I know I wouldn’t have been able to make it that well. He has a penchant for movies and the dedication to back it up. Maybe, the lessons from the New York Film Academy helped. When I was making movies, we relied on our instinct and experience, but Jean has got formal training and knows the theories of direction. But, having said that, I think it is the audience who has to rate him and his movies. Celebrations from the first part? It has the same flavour and treatment. However, while the first part was all about friendships, this is more like a family drama. To be precise, Honey Bee 2 Celebrations narrates the incidents between Seban and Angel jumping into the sea and getting married, the climax shot of the first part. There is a good amount of fun and emotions in the movie and it is definitely going to be a good entertainer. Honey Bee 2.5, along with Honey Bee 2 Celebrations. Making a new movie within a movie location is unprecedented in the Indian movie industry. How did it happen? Celebrations, I shared the idea with actor Sreenivasan. He was thrilled and urged me to go ahead with it. All the cast and crew of Honey Bee 2 Celebrations were enthusiastic. So, we cast Ashkar Ali as an aspiring actor. The entire cast and crew of Honey Bee 2 Celebrations appear as themselves in Honey Bee 2.5. It was a thrilling experience, shooting two movies together. Is Honey Bee 2.5 a zero-budget movie and when will it hit the theatres? It is not exactly zero-budget. We did spend funds for the making, though we haven’t paid the actors yet. Once the movie hits the theatres and makes money,I will pay them, because I respect the work they did for this venture. The post-production work of Honey Bee 2.5 is going on and we plan to bring it to the screens after seeing the response of Honey Bee 2 Celebrations. In any case, it will happen within three months.